In the recent rise of electronic music and its foray into the pop music world, attempts to take initially underground styles of house and techno into the mainstream have garnered mixed results. Ultra Music Festival in Miami has scaled back to one weekend after experimenting with a two-weekend format in 2013. Las Vegas’ infatuation with European DJs manning the decks at their multi-million dollar clubs seems to be waning. Big-name artists like Avicii are retiring from touring. Amid the discussion of potentially the “EDM bubble” bursting, only a select few have broken through to the commercially viable world of pop music. 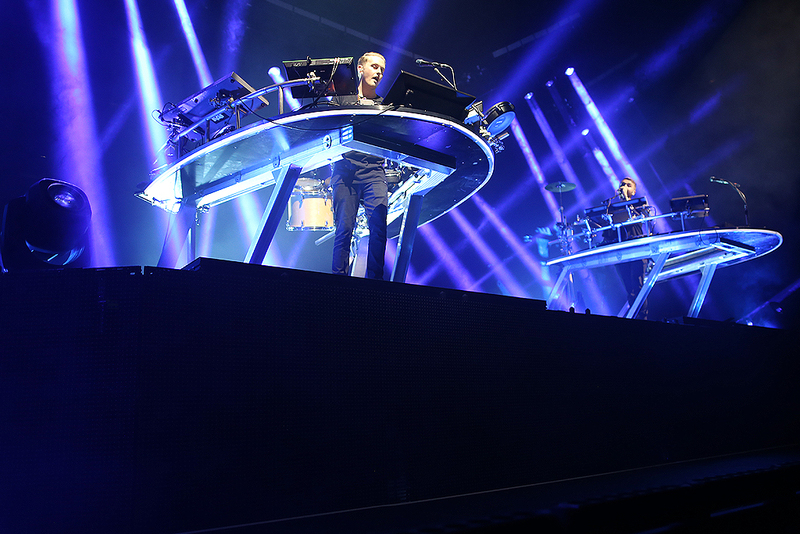 Arguably the most successful of all these artists at the moment is Disclosure, the UK garage-inspired, electronic music duo comprised of brothers Guy and Howard Lawrence. Exploding onto the scene with their debut studio album Settle, the two brothers were heralded for their thumping production and accessible style. 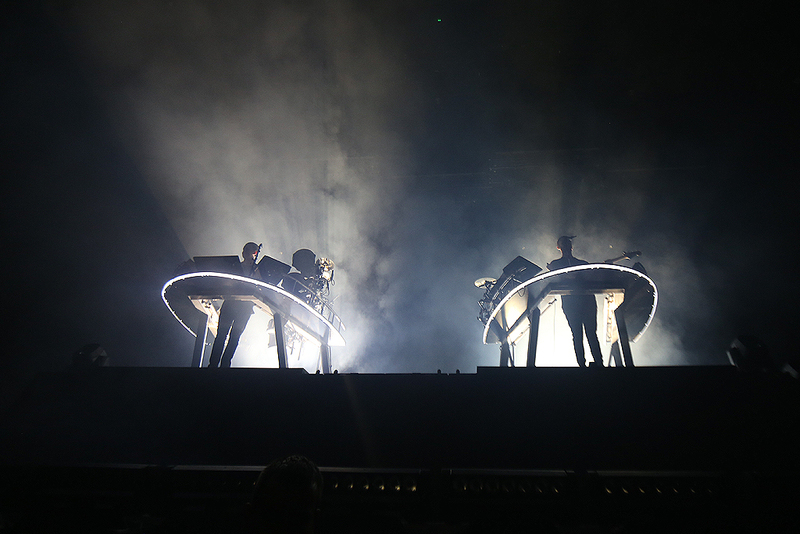 Now touring in support of their sophomore effort Caracal, the two brothers invaded the Bill Graham Civic Auditorium last Saturday to play the second of two sold-out shows in one of the the largest indoor venues SF has to offer. 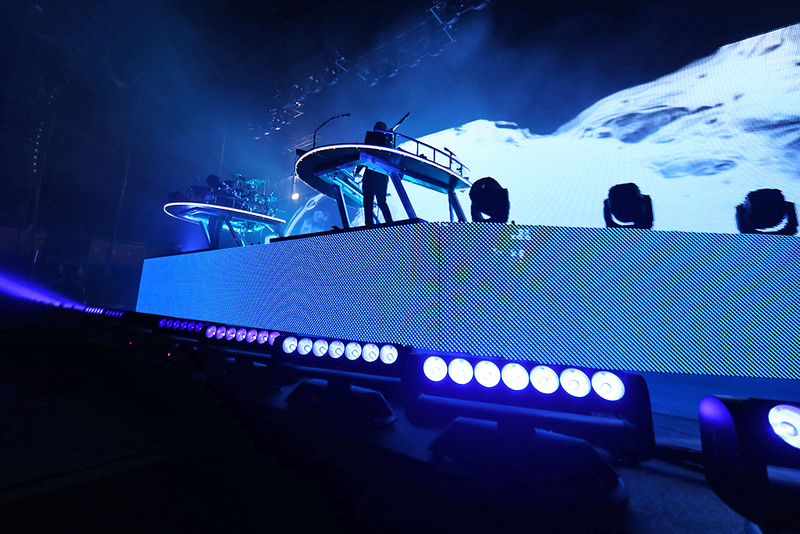 Opening their set with radio hit “White Noise”, Disclosure’s production design was about as big and bright as one would expect — with a massive LED screen behind and below them, the two brothers each manned their own booths — in what was more or less a battle station that came with a smorgasbord of instruments to play. 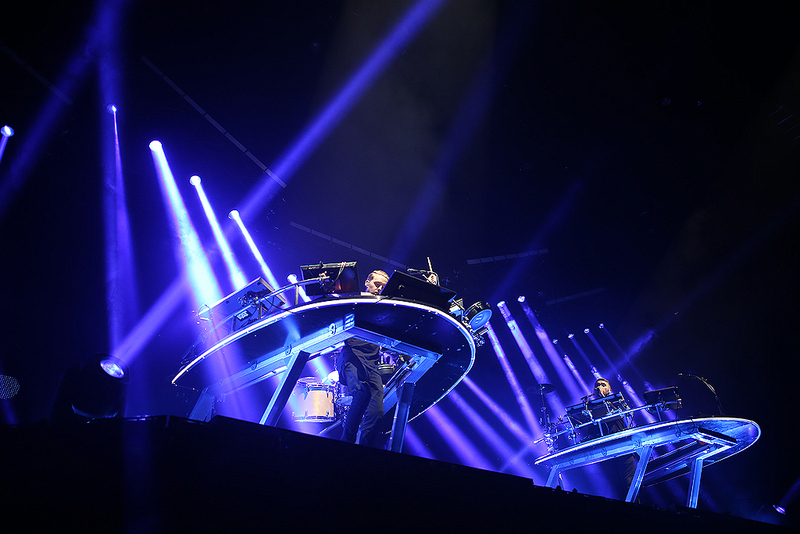 With Guy primarily managing percussion and Howard maneuvering between bass, keyboards and vocals, the English duo presented a fairly innovative approach to producing house music in a live setting. Guy would hit his drum pads to generate the group’s signature 4/4 beat while Howard’s vocals proved to be a particularly impressive part of the duo’s live show. And across songs like “Echoes”, “Jaded” and “F for You”, Howard’s vocals met his bass and synthesizer with power and accuracy. Reflecting on my first encounter with Disclosure at Sasquatch! in 2013, vocals seemed more like a necessity than a feature for Disclosure, so this was quite an improvement from what I remember back then. Engaged though not enthused relative to the size of the production happening before them, the crowd bopped to the beat during each song, reaching its highest point during “Magnets”, “Nocturnal” and “Holding On”. Considering this was Disclosure’s largest tour yet, those in attendance seemed relatively uninspired compared to other big-name EDM acts I’ve seen in SF. While it made for a smooth entrance and exit from the venue, there was a certain sense of excitement missing from the audience. When it comes to live music, you could argue there are fundamentally different ways in which one would judge the value of a live band versus a DJ. Live bands focus on technical skill in the forms of instrumentation and vocals. Electronic music producers and DJs, on the other hand, focus on flow and energy, seamlessly blending tracks together to weave a tapestry of music that changes in intensity throughout a set. 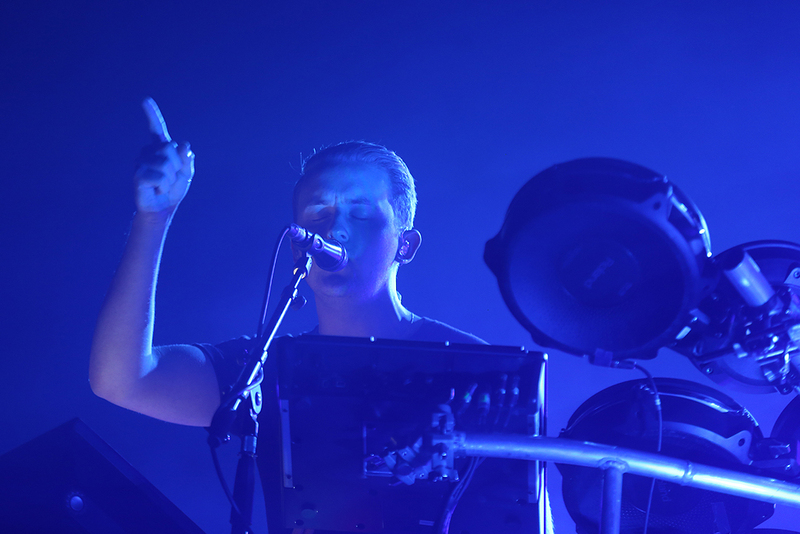 However, due to their UK garage roots and pop sensibilities, Disclosure find themselves awkwardly positioned between these two forms of live music. This became particularly apparent about halfway through Disclosure’s set. 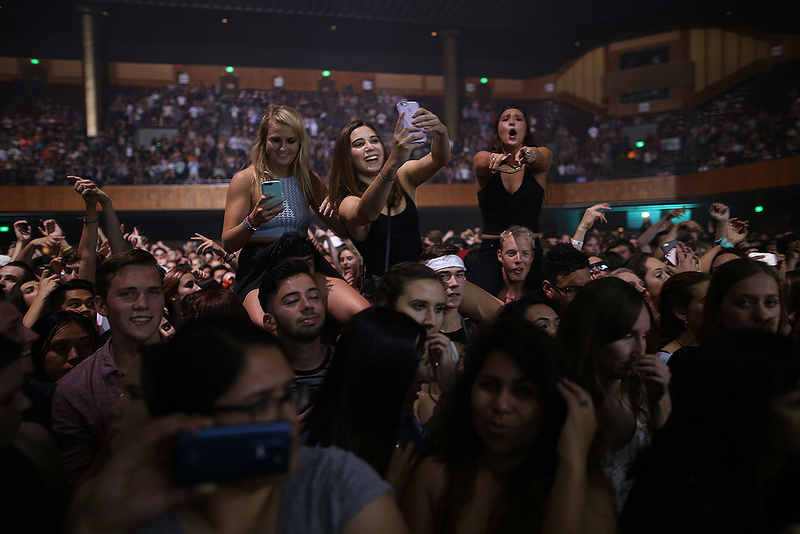 After six or seven songs that ended as neatly as they began, they switched things up with an extended remix of “Bang That” that lead into their single “When a Fire Starts to Burn”, resulting in a scorching 15-minute period of progressive house music that dramatically changed the vibe. At the very beginning of “When a Fire Starts to Burn”, I thought of the first time I heard this track three years prior and when I heard it this past April at Coachella in a glimpse of the festival’s main stage. 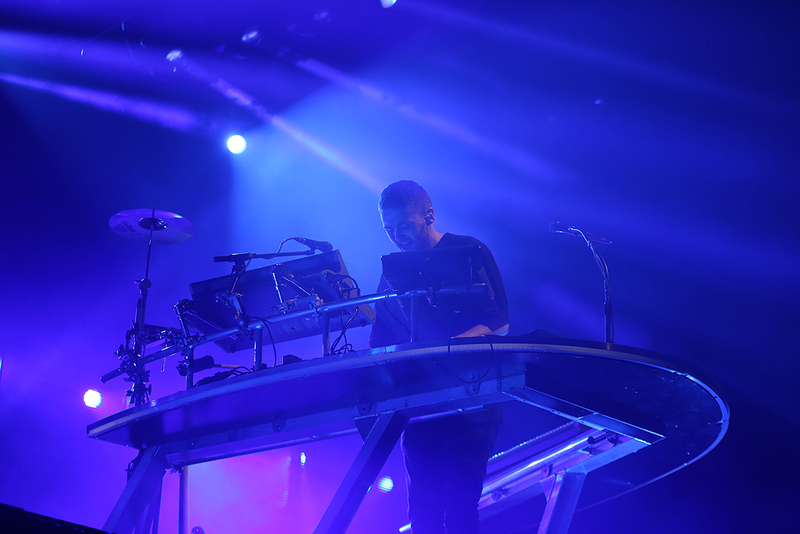 In each experience, I had the same thought: Disclosure does not get any better than this. “When a Fire Starts to Burn” is as infectious as Disclosure gets — thumping kick drums, smooth bass lines, wonky chord progressions and nondescript vocal samples. Consequently, it was undoubtedly a highlight of the night. As Disclosure’s set drew to a close, Guy asked the crowd to welcome Lion Babe vocalist Jillian Hervey, who is featured on their track “Hourglass”, onto the stage. Although Harvey put her all into the song, it felt relatively underwhelming. 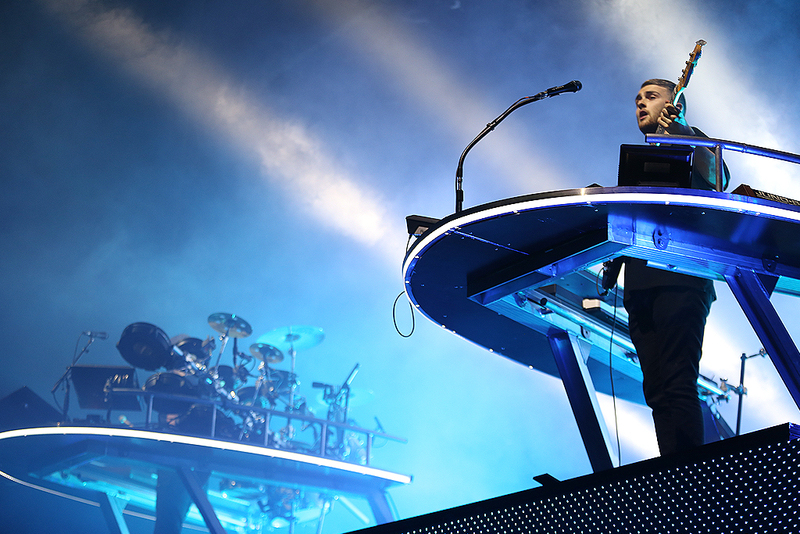 Disclosure ended their set with “Holding On”, a track that seems to be a new fan favorite. 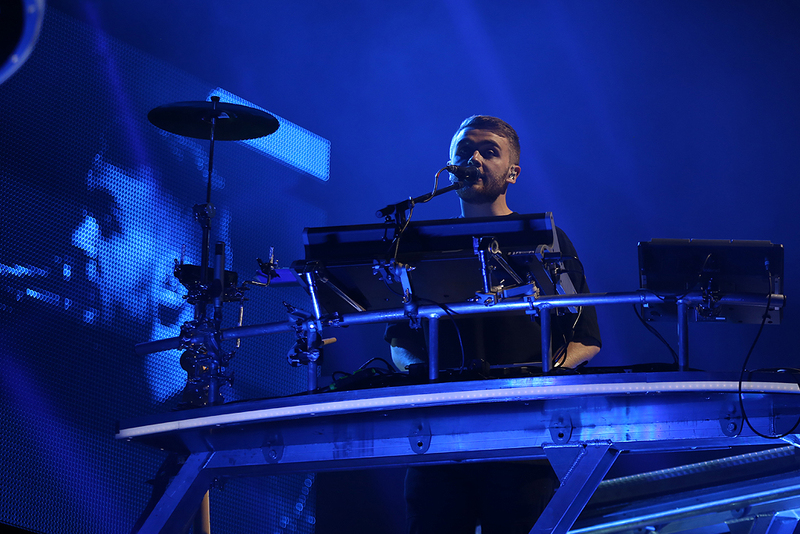 After leaving and returning just as quickly to the stage for an encore, Disclosure brought out with them Brendan Riley, another vocalist featured on their Caracal cut “Moving Mountains”. Riley put on an incredible performance, showing off his talent as a singer, but truth be told, “Moving Mountains” as a song is an embarrassing departure from Disclosure’s signature sound. With a two-step beat reminiscent of ODESZA and a Flume-like textured production style, the entire song came off as a cheap appeal to the other forms of electronic music that have achieved comparable levels of commercial success. 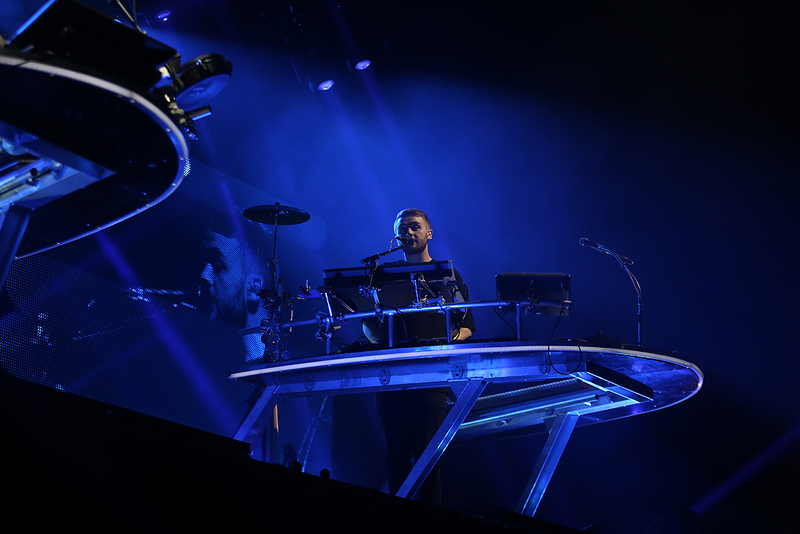 As the Bill Graham Civic Auditorium emptied out for the night, continuing to lack a certain buzz that similar crowds have possessed in the past, it was clear that Disclosure did not hit their mark. Between the art direction, setlist and flow between tracks, there was a clear lack of cohesiveness in their production. 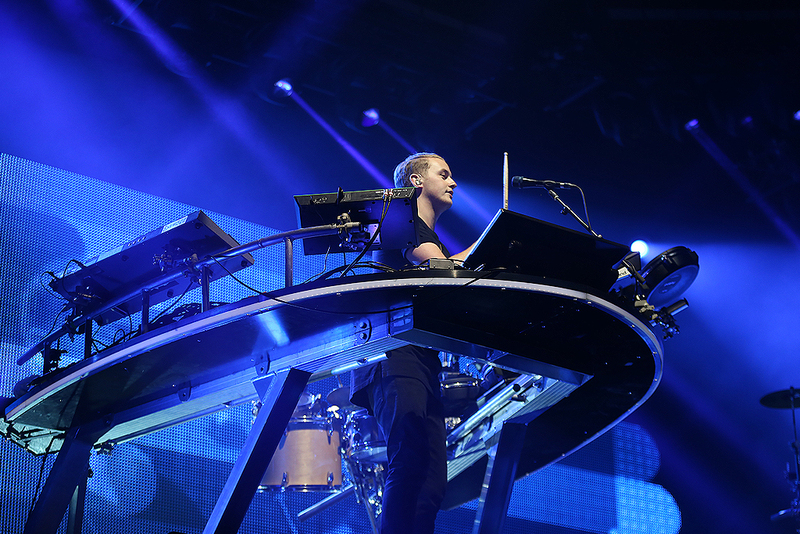 If Disclosure wants to avoid fading into irrelevance as the EDM bubble continues to deflate, they’ll need to bring more to the table than drum pads and big LED screens. Fortunately the Lawrence brothers are barely old enough to order a beer in the U.S., so they’ve still got plenty of time to go back to the drawing board.